Have you just purchased the Samsung Galaxy S8 or S8 Plus and planning to get some accessories? Well, then you can go for the Wireless charger that makes charging easier, fast while convenient also. 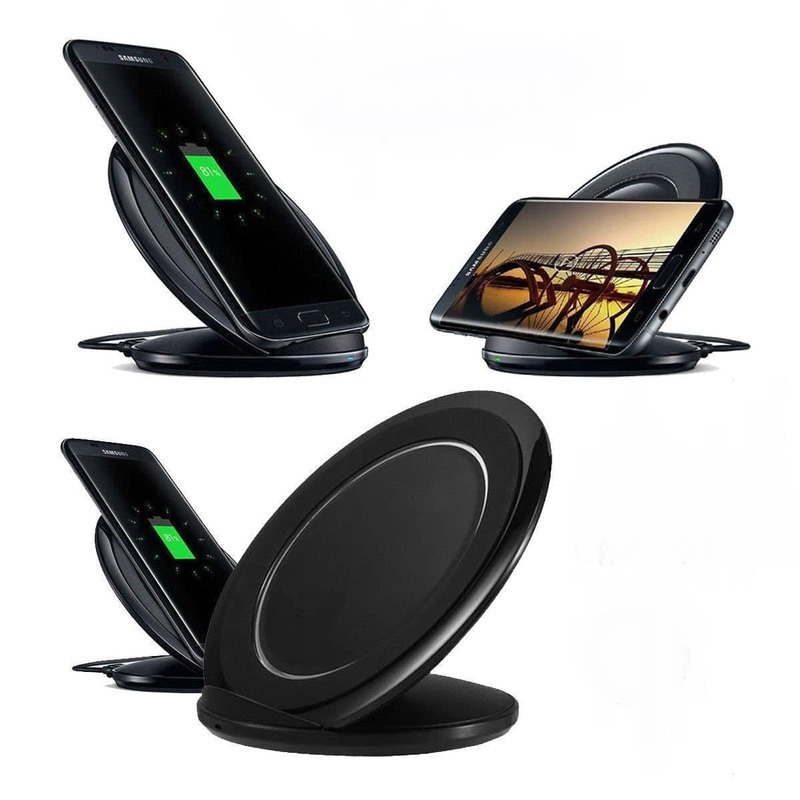 Of course, the wireless chargers are one of the most important accessories that are very important to some phone owners due to their busy schedule while some others look for it just to enhance the beauty of their desk along with the phone. So, if you are looking for the best wireless charger for your Samsung Galaxy S8 or S8 Plus then read this article thoroughly as we have mentioned here the 8 best wireless chargers for Galaxy S8. One of the best wireless charging stands for Samsung Galaxy S8 and S8 Plus that makes charging really fast and convenient. The best thing is this charging stand is designed in such a way that can be converted easily into a pad as well. The stand allows you to put the phone in upright direction thus makes it easier to handle the phone even if it is charging. Also, you can see in case any notification arrives in the device. There is a LED indication in this charging stand which will alert you if you didn’t align the phone in the stand properly. Proper alignment is really needed. Also, there is a built-in fan in the charging stand which ensures your new phone will not get overheated while fast charging. 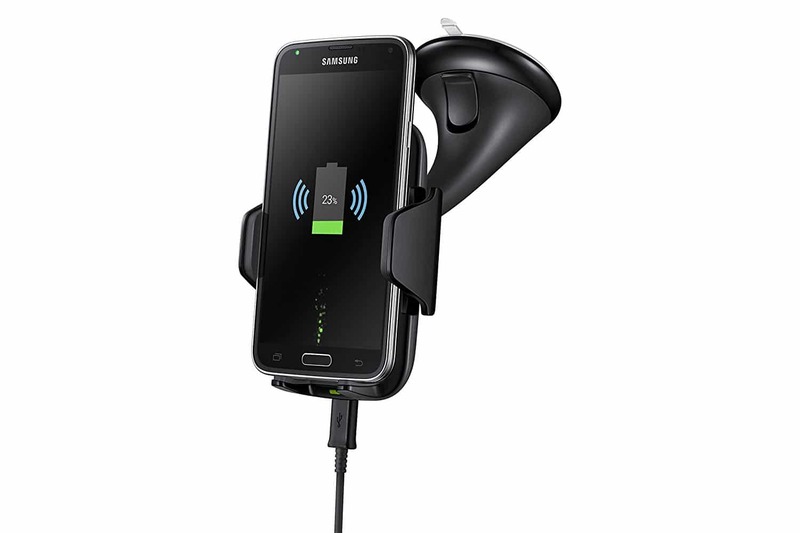 Samsung Wireless Charging Vehicle Dock is almost must have for all those who travel a lot by their own vehicle. Just attach your Samsung Galaxy S8 in this charging dock and the phone will fully charge by the time you reach your destination. You can handle free phone calls, GPS navigation, and music control while driving. In order to enable Qi in this charging dock, you are required to have the Wireless charging cover or the Wireless Charging S-view cover. Are you looking for the best wireless charger for your Samsung Galaxy S8 from the same company? 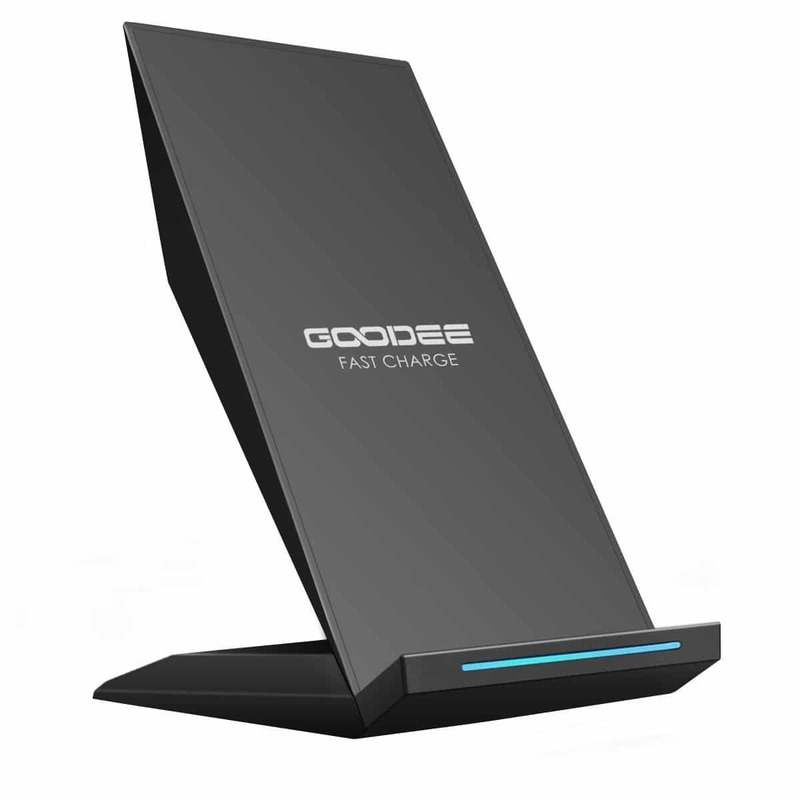 Well, then this should be a great choice for you that is able to charge the phone much faster and takes almost 50 minutes less time than other wireless chargers. 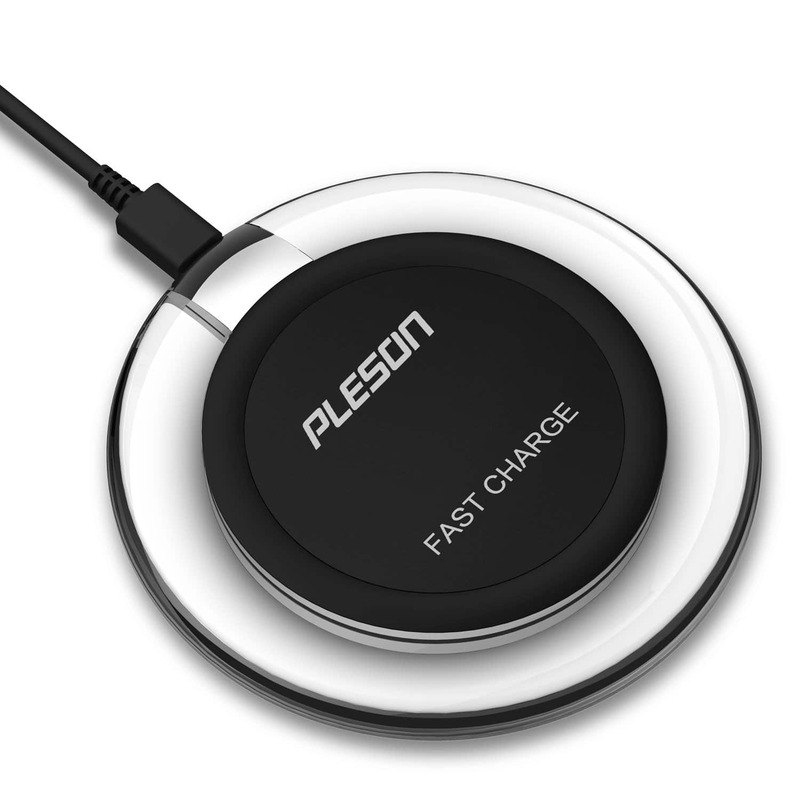 The included fast charge wall charger allows the pad to transfer fast charging to the device. It also has a LED indicator which alerts you in case the device is not aligned properly in this pad for charging while you will also be alerted when the full charge is achieved. 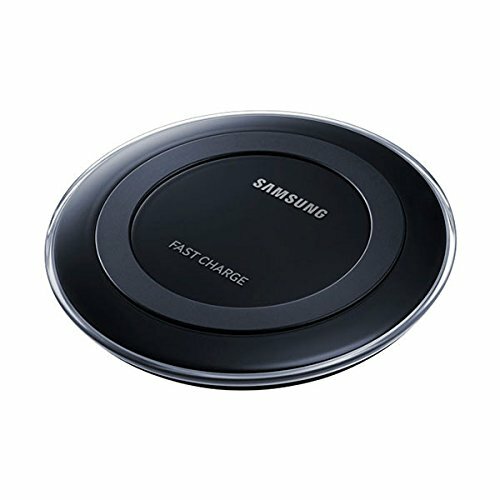 This Fast Charge wireless charging pad is available on Amazon at a very reasonable rate. This is one of the best Galaxy S8 chargers that come from Pasonomi, a well-reputed company. This charging stand is almost 1.4 times faster than the standard wireless charging pad or stand. The fast charger mode ensures this QI 2.0 wireless charging stand will charge up the Samsung Galaxy S8 from empty to full in just 2 hours, so no need of keeping the phone in the charger for more times rather wait for two hours and walk away with your phone. There is a LED light indicator that alerts in case the Smartphone is not aligned properly. Also, it allows you to align the phone in landscape mode or portrait mode whatever is convenient for you. But it does not include the QC 2.0 adapter, so you need to get one. Another in the group of best wireless chargers for Galaxy S8. 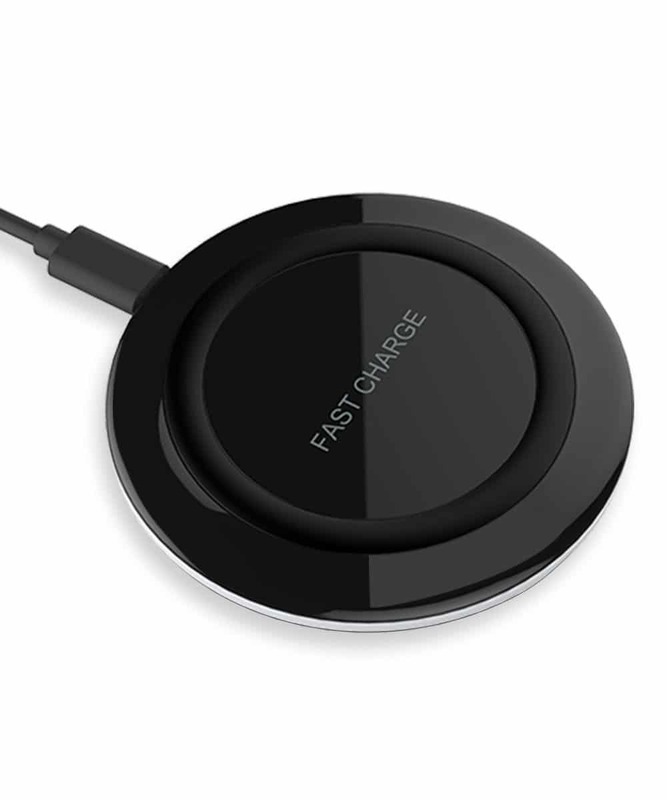 This RooRoo fast wireless charge charging pad is able to fully charge the device in 2.5-3 hours as this is around 1.4 times faster than the standard wireless chargers. It has included a LED indicator light area that let you see the charge of the phone. The bottom part of the fast charger has an anti-slippery rubber band that says it can be placed on any kind of surface. But the QC 2.0/3.0 adapter is not included with the package which is required for this charger so you will have to buy one. 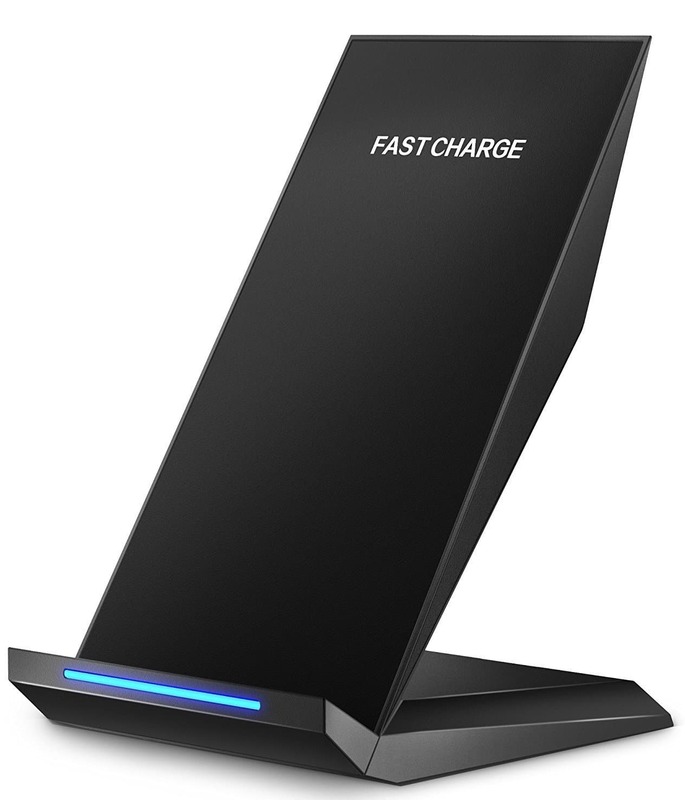 Another fast charge wireless charger available at the same rate of ROOROO that is just $12.99. So, if your budget is tight at the moment, but you want to make charging more convenient and fast then this is no doubt a great choice to look for. This charger is equipped with a small LED indicator while the added sensor allows you to dim the light in case you are using it at night and do not want to be disturbed by strong light. 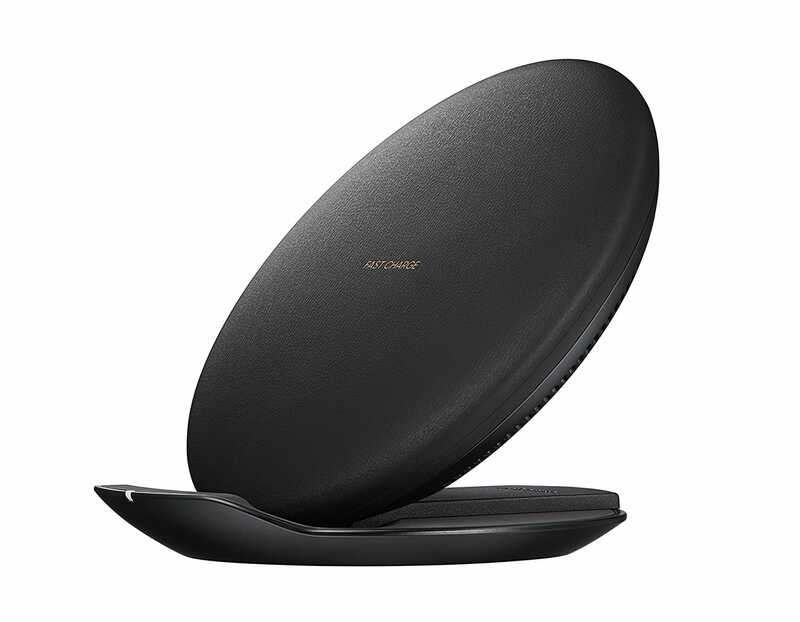 Even though this Wireless charger for Galaxy S8 isn’t made by Samsung, it comes with a 1-year warranty which is not provided by most of the third party companies. This charger is 1.4 times faster and it can charge up your Galaxy S8 in just 2 hours from empty to full. The company has included a smart control chip inside this charger that ensures conversion rate of 80%. The battery is never overcharged or the charge is wasted due to the overcharging of the battery or over temperature circuit protection. The design is really simple and it looks very elegant. As the name suggests, this wireless charging pad is really helpful when sleeping. It does not include any annoying lights or beep sound, only LED indicator is there which turns off automatically just after 10 seconds thus help you in easy sleeping. Another interesting feature is the safety feature. The added over voltage, under voltage and the short circuit protection ensures the best safety. Thus wireless charger is almost 1.4 times fast to charge the phone in just 2 hours. With all these, this charging pad looks amazing where the transparent circle around the actual charging pad makes it look stunning. These are the best wireless chargers for Galaxy S8. All these chargers mentioned here are available at a very affordable range, so just go ahead and get the one which will be most convenient for you.